Rebecca graduated from Queensland University in 1998 with Honours. She started as an equine vet at Canberra Veterinary Hospital in 1998 and is particularly interested in equine performance and lameness problems. In 2006 Rebecca went to the World Equestrian Games in Aachen as a groom for Kelly Layne on the Dressage team. She spent 6 weeks in the lead up to the World Equestrian Games at Ulla Salzgeber’s training stables with the Australian Dressage team. Rebecca completed her Post Graduate Veterinary Membership exams for the Australian College of Veterinary Scientists (ACVSc) in the field of Equine Dentistry in 2008. She has starred in roles on the television programme Animal Hospital and she has also been heard on ABC radio offering veterinary advice. She is a horse rider and competitor, particularly in the field of dressage. She is currently campaigning BHM Spanish Love and BHM Spanish Amor at FEI level and is sponsored by Horseland Canberra and Prydes horse feed. Rebecca has a Rhodesian Ridgeback dog named Charlotte and a cat named Anna Nicole that help play in the dressage arena on a daily basis whilst Rebecca trains her horses. Dr Suzanne Polak has a lifetime of experience with horses, however she continues to respect them and be surprised by them. Suzanne has a Diploma in Pastoral Production from Longreach Pastoral College, a Bachelor of Applied Science in Equine Studies from Charles Sturt University, a Bachelor of Veterinary Science from Sydney University and most recently a Graduate Diploma in Animal Biomechanical Medicine from Box Hill Institute. When Suzanne is not formally studying, she continues self learning in all things equine health, medicine, behaviour and general well being. In her spare (not much) time Suzanne takes care of her small farm with a couple of Quarter Horses, a cattle dog cross called Barley and two cats. Most recently Georgie has joined the family – Miniature Foxie cross at just 9 weeks of age. Suzanne joined the Canberra Equine Hospital team as an equine vet in 2010, where she has been able to further enhance her skills in anaesthesia, podiatry, reproduction and dentistry. Most recently Suzanne has taken on board more complementary fields such as acupuncture and biomechanical treatments (chiropractic and osteopathy combined). Alexandra is originally from Austria and graduated from veterinary school in Vienna 2013. After she graduated, Alexandra completed an Internship at Weatherford Equine in Texas where she enjoyed working on cutting performance horses and their needs. During her time in the U.S. Alexandra completed the North American Veterinary Licensing Examination and the American certification program. 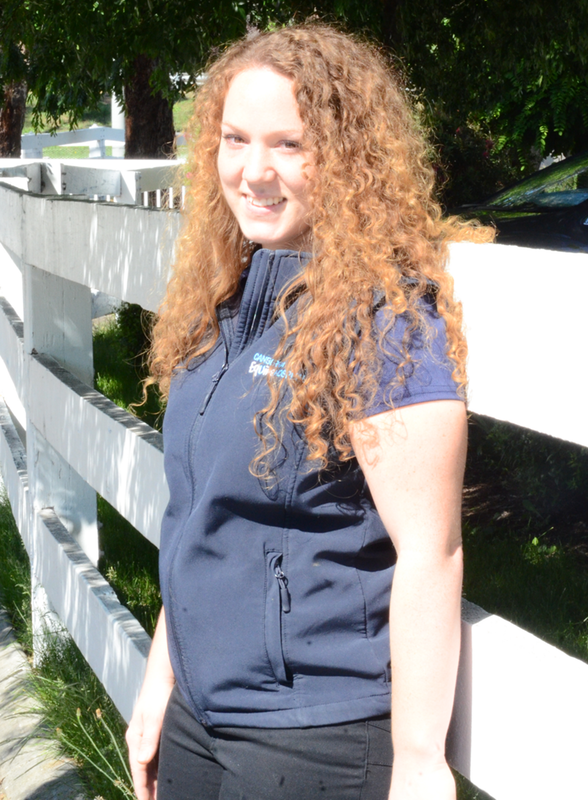 As a dedicated equine vet, Alexandra enjoys many aspects of equine medicine, and has a special interest in foal medicine and reproduction, as well as anesthesia and lameness. In her free time she likes to be active outside and traveling, which brought her to Australia in 2015 to be a part of the Canberra Equine Hospital team.